Bitdefender Mobile Security for iOS is free! And yes, this is the greatest thing about Bitdefender for iOS, there’s no need to pay for downloading the app. Apple users can easily download it from the Apple App Store for free. Just like any other Bitdefender security system, the Mobile Security for iOS won’t put a burden on your device’s activity and won’t reduce its performance speed. The app is incredibly easy and stress-free, functions efficiently and performs its work without irritating the users with continuous pop-ups and warnings. Bitdefender Mobile Security for iOS protects against any kind of hacking attempts. 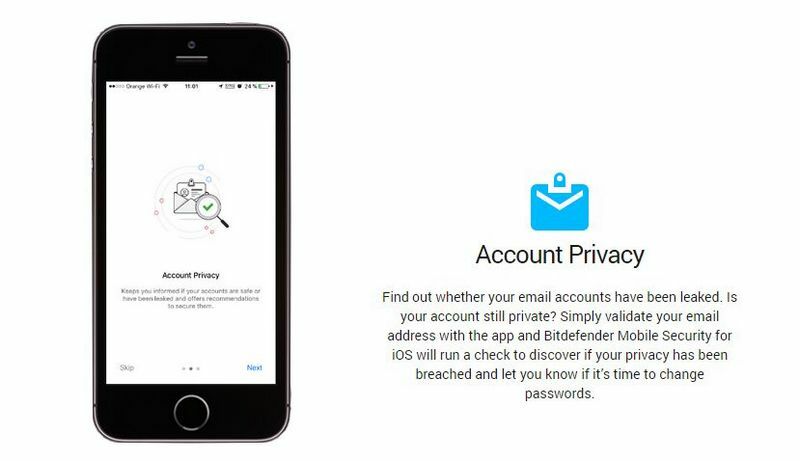 Whenever you authenticate your email address with the app, Bitdefender Mobile Security for iOS will implement a check. If it identifies that something is in the wrong, and somebody is attempting to break your privacy, it will suggest to you that you change your PIN. In this way, you will always be aware if someone tried to use your email account without approval and you will be able to take actions to stop them from doing it another time. Evidently, there are a number of security websites that suggest a good antivirus and anti-malware is key for your mobile. However, not many of them will check that you have some degree of control over your smartphone even when you don’t have it on your person. Bitdefender Mobile Security for iOS does this. 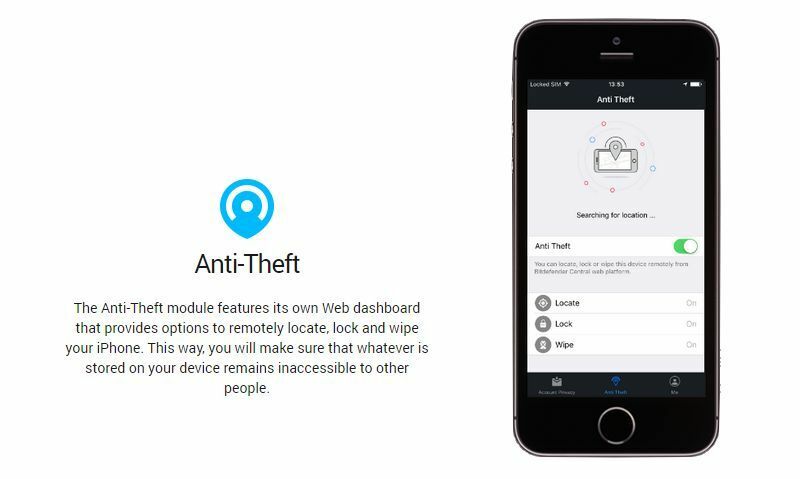 The app’s anti-theft module is particularly efficient and permits users to distantly access their phones every time they need to. The module has its own web dashboard that allows users to distantly trace their iPhone or iPad. What’s more, users can lock their smartphone and even clean it if they think it’s needed. With the help of this feature, no secret information will be retrieved from your phone without your approval. It keeps your personal data, messages and pictures under your exclusive authority. Bitdefender suggests to users that theygenerate a Bitdefender Central account. From this account, users can easily connectto and manage their security results for their iOS device. Managing multiple devices through a single account will certainly makethings simpler and stress-free, so users won’t have to log into numerous accounts to complete every step individually. Scans and optimization can now be done from anywhere. Generally, Bitdefender Mobile Security for iOS is one of the finest security systems an iPhone user can install. It has incredibly fast system that performs smoothly. All your privaterecordsare kept safe and the mobile security gives you the option to use and control your sensitive data from a distance at any time you need to.